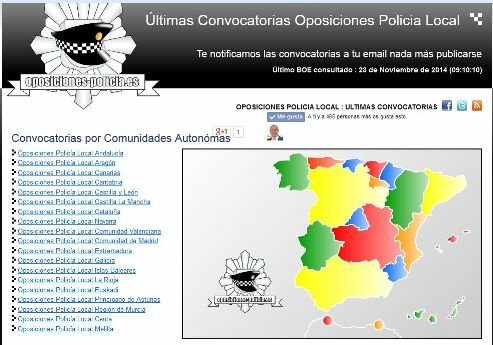 Oposiciones Policia It is a free service for people interested in calls for opposition to local police. The system works 100% automatically. Every day at 9:10 it connects to the Official State Gazette, read publications notices of competitions to local police, classifies and inserted into the database, and immediately throws an email to subscribed users alerts the province in which it has issued the call. To improve the positioning of page.